The company will pay 2.4bn dollars in taxes, the prime minister says. 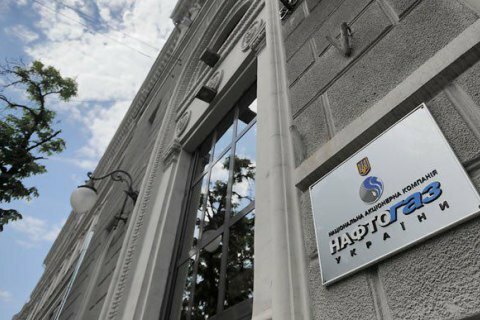 The state-owned oil and gas company Naftohaz Ukrayiny will post over 20bn hryvnyas (0.8bn dollars) in profit for January-June 2016, Ukrainian Prime Minister Volodymyr Groysman has quoted the company's financial report as saying. "Naftohaz, the company which for many has been a 'black hole' of sorts and through which colossal amounts of money were washed from the state budget into private pockets, is now becoming a donor of the budget. Whereas for many years Naftohaz has received compensation from the state budget on a stable basis, which exceeded 100bn hryvnyas in the recent years, this year it is other way around – it is starting to make important contributions to the budget. In 2016, Naftohaz for the first time since 2006 does not receive any support from the state in the format of compensation for a difference in heating prices and tariffs. Following the first half of the year, Naftohaz will be in the black, posting the profit of over 20bn hryvnyas. Its core is the profit from gas transit which was previously 'eaten' by underestimated gas prices," he said on Facebook. The prime minister expects the company to pay over 60bn hryvnyas in taxes by the end of the year. This will be enough to cover subsidies and some other social payments, he added. A part of the profit will be invested in Ukrainian gas extraction. In 2015, the company reported the annual loss of 25bn hryvnyas.